Notepad Corner: A joyous and prosperous 2013 to one and all! 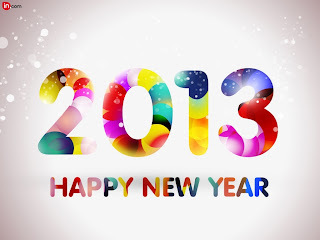 A joyous and prosperous 2013 to one and all! Days pass so swiftly and now we’re on the tail end of 2012. Notepad Corner is already running on its third year come 2013 and as 2012 closes its doors to give way for a new year ahead, I would like to thank you – my readers for your continued support. Rest assured, this blog will constantly provide interesting and worthy topics and articles for you to read on. Currently, the author of this blog is also the writer of 5 more other sites namely Joysflair.com, Delectableideas.com, Fitandsound.com, Fancyexpeditions.com and Technogrub.com. The year 2012 has been a good year in my writing career as many opportunities knocked my door such as paid writing services, speaking engagements and more. All these things gave me more inspiration and inclination to push through with my blogging career. And because another year has to come bringing new hopes and challenges, watch out for more new blogs coming up next year. To end the year with a toast and best wishes not only for me and my family but also to you and everyone who keeps on visiting my sites. May the coming New Year shower you and your family with good health, prosperity, love and happiness. Cheers to 2013!